stock image of Long holiday planner prepares costume. And necessary equipment. 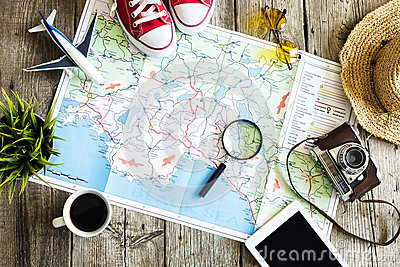 stock image of Saving money for traveling concept. Holidays money savings concept. coin and holiday.